If you haven’t already had your say, PLEASE DO SO NOW as a final decision on the latest appeal is expected on or before 18th June 2015. The voice of the public needs to be heard! Science is moving away from barbaric and primitive animal experiments as far more advanced alternatives are now available. The new sophisticated, scientific testing methods are more reliable, take less time and money to complete, and are actually relevant to human health! The market for non-animal alternatives (in vitro/in silico) is now of a similar size to the market for animal research and is forecast to at least double within the next few years. It’s therefore essential that development of new technologies that replace animal use continue to grow in the UK and this is where investment is needed – NOT investment into outdated animal testing! In addition, public support for animal experiments has fallen and the Government has pledged to reduce the number of animals in experiments. The only way government can achieve this is to put measures in place to actively divert its funding away from outdated animal tests and towards human-relevant alternatives. The company ‘Yorkshire Evergreen’, owned by US multinational Marshall BioResources, is behind the plans to build a farm in Grimston where hundreds of dogs and other animals would be bred for experimentation. Despite the plans being rejected by the council, the company has appealed the decision. Brian May, Queen guitarist, and Peter Egan, Downton Abbey, have recently made an urgent appeal to Greg Clark, Secretary of State for Communities and Local Government, who has the final say over the plans. As there’s only a few days left until the final decision is made, please send an email to Greg Clark MP asking him to uphold the decision of the council and refuse permission for the dog breeding facility. 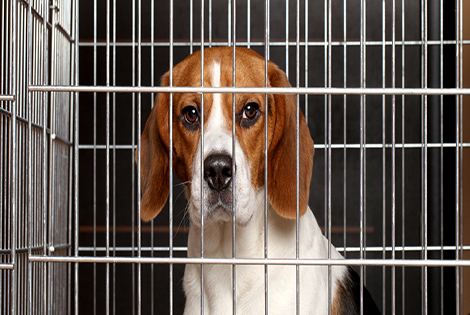 Latest statistics show that 3,554 dogs were experimented on in Britain in 2013, which shows in the region of a 10% rise from the previous year. It’s the area of toxicology (poisoning) where dogs are most used. The dogs may be force-fed chemicals or have toxic substances pumped into their veins, with many of them dying in agony because they been made so sick. The unlucky ones are forced to endure yet more experiments before they die or are killed.